When Intel co-founder Gordon Moore stated in 1965 that the number of transistors that can be placed on an integrated circuit (IC) will approximately double every two years, nobody anticipated that such a prediction would hold. Now known famously as Moore’s Law, it has come to define the semiconductor industry. Most of what facilitates the rapid increase we’ve been seeing of transistor count is the decrease in transistor size. Periodically, major semiconductor manufacturers have scaled down process sizes so that smaller and faster ICs can be fabricated. The world’s largest semiconductor maker, Taiwan Semiconductor Manufacturing Company (TSMC), has now signed a long-term deal with chipmaker ARM to scale down ARM’s Cortex series of embedded and application processors to a 20nm process. The Cortex system-on-a-chip (SoC) processor family is prevalent in many mobile Internet devices (MID) and embedded applications today. Although the architecture is not explicitly used all of the time, many devices use variant architectures based on the core Cortex CPU. For example, Qualcomm designed the Snapdragon processor architecture currently in the HTC Evo 4G; however, the architecture is largely based on the ARM Cortex-A8 core. Similarly, Apple’s A4 architecture used in the iPhone 3GS, iPhone 4 and iPad is based on the ARM processor architecture and uses a Cortex A-8 CPU combined with a separate GPU built on Samsung’s 45nm process. Currently, ARM has workings with TSMC’s rival manufacturer Globalfoundries to build their Cortex A-9 processors on a 28 nm process. This current deal will not be affected by TSMC’s new deal with ARM, meaning that Globalfoundries will finish building its 28 nm process. By forging a new alliance with TSMC, ARM is getting itself ready to face some significant competition. Intel is one of those competitors with the prospective release of SoC platform Moorestown in early 2011. Moorestown is a smart phone and MID-based platform that integrates an Intel Atom processor core with many other key system features like the graphics engine, memory and display controllers, etc. Intel is actually partnered with TSMC for the new atom chipset, creating an interesting dynamic between both competitors. I also recently discussed Intel’s intentions to plunge into mobile with its potential acquisition of Infineon’s wireless division. While ARM faces such future competition, it will most likely retain its firm position in the mobile market considering the wide use of its platforms. 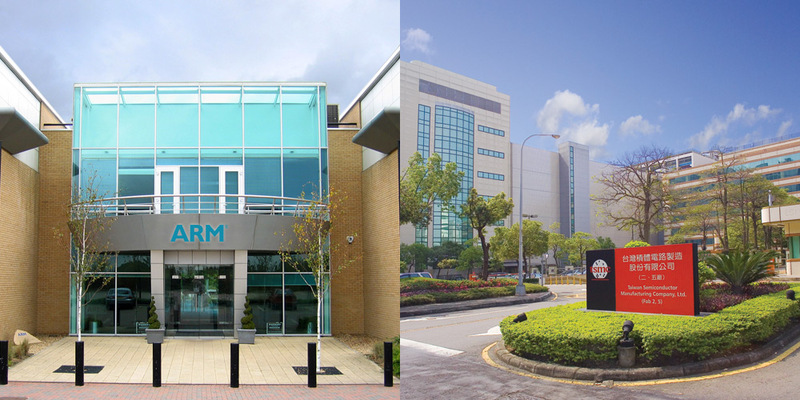 The new deal with TSMC doesn’t come as a surprise and solidifies ARM’s future prospects. The move to a 20 nm process comes at a time when the Smartphone industry has been making significant strides. Some of the issues concerning mobile computing include speed, size, and power. A 20 nm process will address some of those issues and make MIDs smaller, faster and consume less power, although much has yet to be seen on the technology’s potential. The switch to the process probably isn’t going to go into effect immediately. It will be some time before we see chips using the process hit the market as even the 28 nm hasn’t fully made its way yet.